Join Chisel AI in developing the only purpose-built artificial intelligence solution for commercial insurance brokers and carriers. We’re Looking for Talented Humans Who Think Like Robots. And Vice Versa. We’re making insurance cool again. Chisel raised a large seed round led by Venrock. We’re investing that capital in our people. 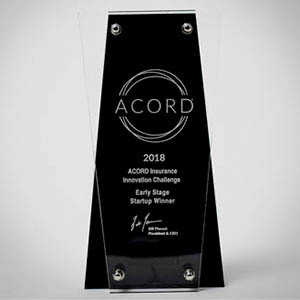 Chisel was crowned the 2018 ACORD InsurTech Innovation Challenge Winner. 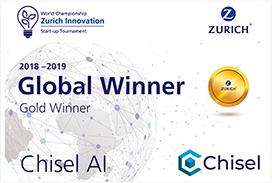 Chisel won Gold at the 2019 Zurich Innovation World Championship. You’re smart, driven and a self-starter. You’re ready to dive into a fast-paced, high-growth, super-collaborative company. You get excited about commercial insurance. OK, so maybe “excited” isn’t the right word but if you’re highly motivated, and AI and NLP float your boat, let's talk. To help people work smart and enrich their lives. We believe in giving our employees an environment that fosters learning, collaboration and curiosity. We believe our employees should never stop asking questions. At Chisel, we have five core values that we care about. We don’t just have them on a poster in our office. We live by them. We hire and promote people who demonstrate our core values. Strive for excellence, not perfection. Be world class: never settle for mediocrity. Quest for never-ending improvement. Be vulnerable, and have the courage to share weaknesses. Assume positive intent, and give the benefit of the doubt. Listen with empathy. Own your work. Be direct and challenge with respect. Align what you think, what you say, and what you do. Play for the team, not for yourself. Teach what you know and learn from others. Help your teammates develop, grow and execute. Everything should be made as simple as possible, but not simpler. Challenge the status quo. Don’t fear mistakes, turn failure into opportunity. Why people like you love working at Chisel. "Working at Chisel enables me to see first hand how the application of technologies is driving innovation in the insurance industry. Being able to make an impact by collaborating and building a product that will automate and expand on the tedious workflows of the past is fulfilling."